Quick tips on how you can save 20-30% of your fuel | Unkrate | Creating Experiences. Owning is car today is perceived more as a necessity than a luxury. Be it a family outing or zipping your way to work or managing an emergency, a car is always considered as bliss. But in a country obsessed with mileage, constant revision of fuel prices has always created a sense of dilemma among car owners. 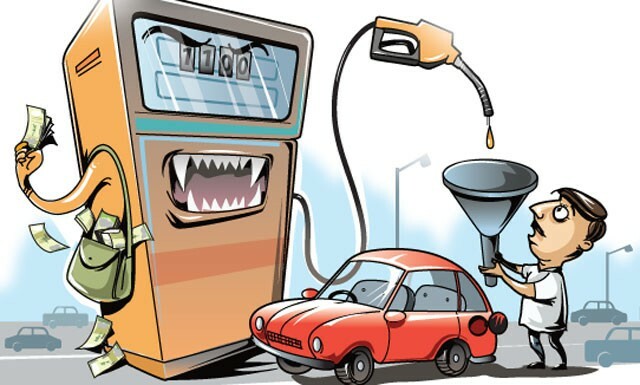 While owning a car is a necessity for some and a luxury for others, everyone is grappling with the skyrocketing fuel prices. Everybody wants to know the trick of milking every drop of fuel. Here are a few simple methods enlisted by Mahindra First Choice Services that can help you save up to 20-30% of fuel. Avoid frequent use of brake as it consumes more fuel. Also form a smooth driving habit wherein you avoid harsh acceleration. Keep a constant check on tyre pressures. It is important to maintain the minimum levels as recommended by the manufacturers. You can also increase the tire pressure by 2 psi while driving on smooth roads. Avoid loading your car with unnecessary weight in the form of luggage or cargo. The more the weight, the more work for your engine. Regular cleansing of air filter, fuel filter and spark plugs is important to attain fuel efficiency. To sum it up all, the more work you give to your engine, there will be more fuel consumption.